i especially love the plaids in this one! great fall colors! i've got two jelly roll quilts in progress right now, there are many quick and easy patterns using the 2 1/2" strips. and i am so so thankful to fat quarter shop for being such a giving sponsor! they are always ready to participate! if you're not already, be sure to follow their blog the jolly jabber, for other giveaways, contests, designer highlights, and more! giveaway ends 11/19/2012 at noon CST. winner will be notified by email and have one week to claim their prize. more giveaways happening all morning! check back often! I love the Exuberance bundle of Splendor 1920 by Bari J - those blues are gorgeous! The Sweetest Thing by Riley Blake or Polka Dot Stitches by Riley Blake. Love them both! I love The Sweetest Thing. I am making a baby quilt that it would be perfect for. I always love Sandy's designs and these are no different. Great giveaway. I really like the new Bari J Line! I love the marmalade line so much, maybe for christmas? The In My Room Fabrics look lovely! I'm still loving Chicopee the best right now. I'd love to have the bear country layer cake to make one quilt for my littlest 2! 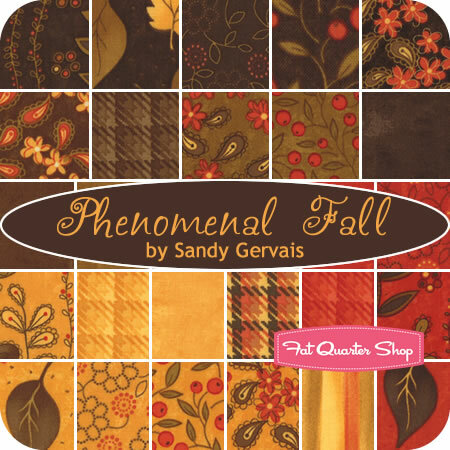 I love any fabric having to do with autumn but this one is one of my favorites. I like simply color. Thanks for the chance! I like the Fall colors in the jelly roll. Blake. Thanks for the chance to win! My favorite at FQS is Black Magic Batiks by Hoffman Fabrics. Thanks. Love alot of the choices really...but will settle on Retreat in My Room fat qtr. bundle, and Sakura Park layer cake! I am loving the Yo Gabba Gabba for my little grandson. Fall is my favorite season and this line just sums it up. I am loving Mod Century and Winterkist. I am thinking black Friday might be a good excuse! Thanks for all the opportunities to win! Love The Sweetest Thing by Riley Blake. Also love all the fall colors. Thanks for the chance! I think Sakura Park is lovely. So spring-y! 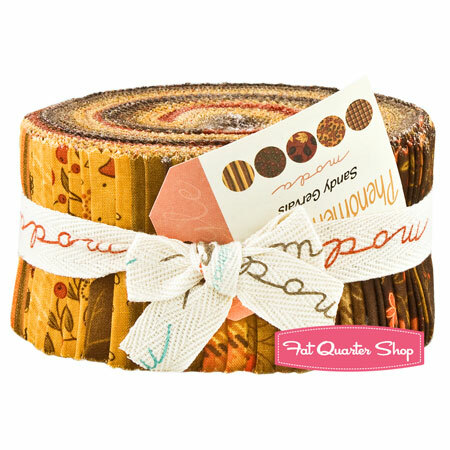 I like the Flirt Petite Fat Quarter Bundle. Wow, so many good ones! Spot On, in Newsprint and in Little Boy Blue, Moda Centråury, and Notting Hill Ladbroke are all fabulous. Oh, and Sopt On in Silver Spoon too :D! I love these beautiful colours. Also love polka dots. I love the new Westbourne Notting Hill. Love anything Polka Dot. That jelly roll is beautiful too! This is an easy one....I'm trying to work out how my budget can afford the entire Cuzco line. I love any style of precut of Sakura Park. Lovely Asian inspired line. I love the sweetest thing line! I love the butterfly fabrics. Winter isn't even here and I'm thinking about spring!